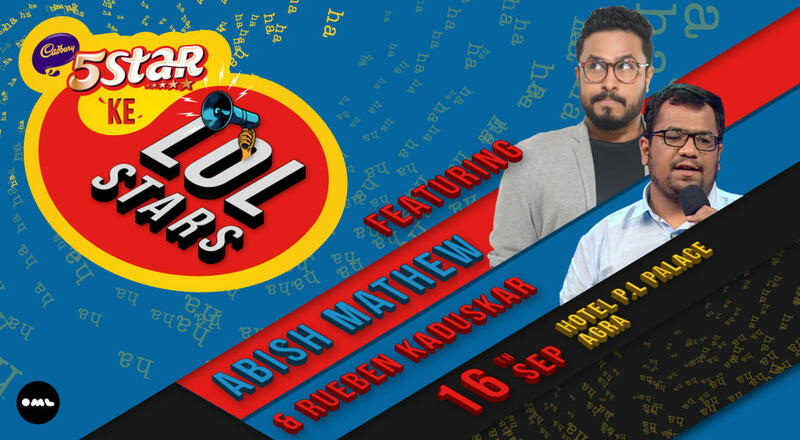 Rueben Kaduskar is a writer and a stand-up comedian. He started doing stand-up in 2015 in Abu Dhabi. He was a writer with East India Comedy and has worked extensively in writing projects with Atul Khatri. He was among the top 5 in Radio City's hunt for the next best stand-up comics. He was also in Comicstaan where he was among the top 10 of the best upcoming talents in the country. He has been the opening acts for various well known comedians such as Biswa Kalyan Rath, Abhishek Upmanyu, Karunesh Talwar and Ashish Shakya to name a few. Rueben's humour is anecdotal and self-depricatory. It comes from his twisted perspective of his own life. Rueben Kaduskar is a writer and a Stand-up Comedian. He started doing Stand-up in 2015 in Abu Dhabi. He was a writer with East India Comedy and has worked extensively in writing projects with Atul Khatri. He was among the top 5 in Radio City's hunt for the next best Stand-up Comics. He was also in Comicstaan where he was among the top 10 of the best upcoming talents in the country. He has been the opening acts for various well known Comedians such as Biswa Kalyan Rath, Abhishek Upmanyu, Karunesh Talwar and Ashish Shakya to name a few. Rueben's humour is anecdotal and self depricatory. It comes from his twisted perspective of his own life.